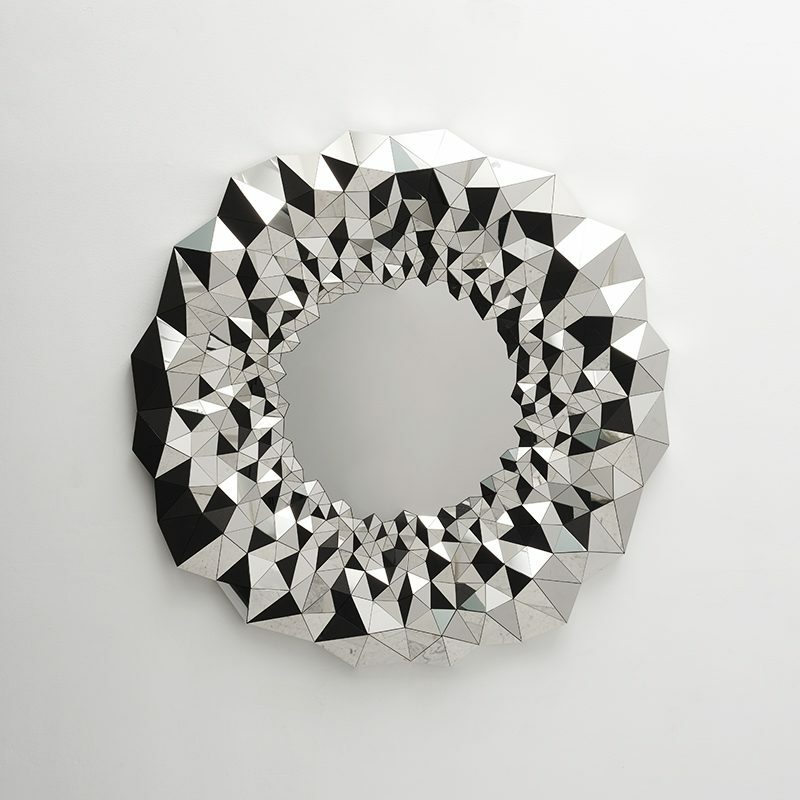 Inspired by geodes and cut diamonds, Jake Phipps’ Stellar Mirror is a unique work of art made of mirror-polished stainless steel. 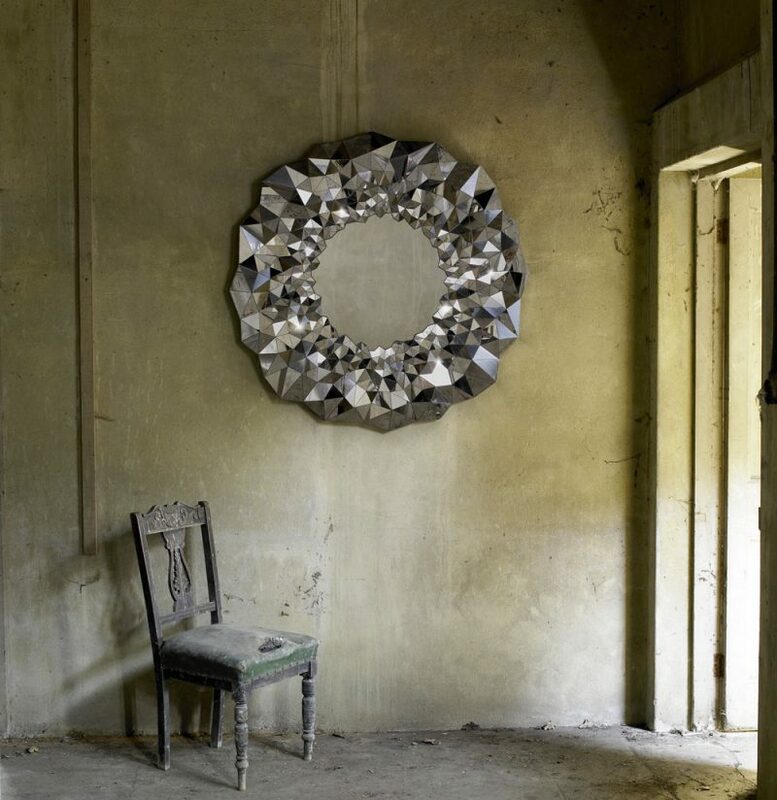 The mirror’s smooth center stands in contrast to the raised fragments of mirror that encircle it. 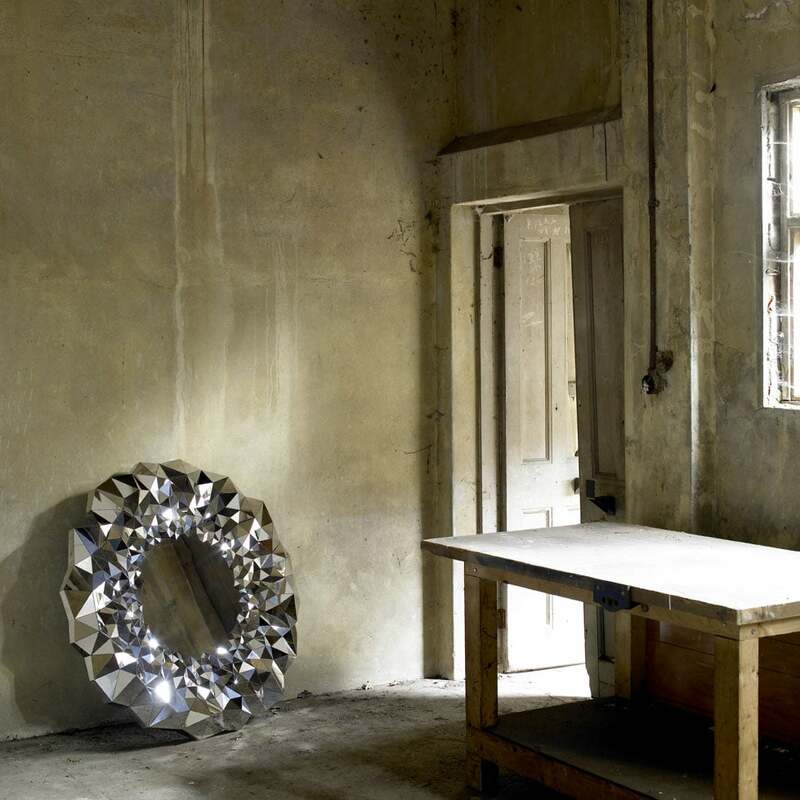 The mirror sparkles brilliantly and disperses light beautifully throughout any space. 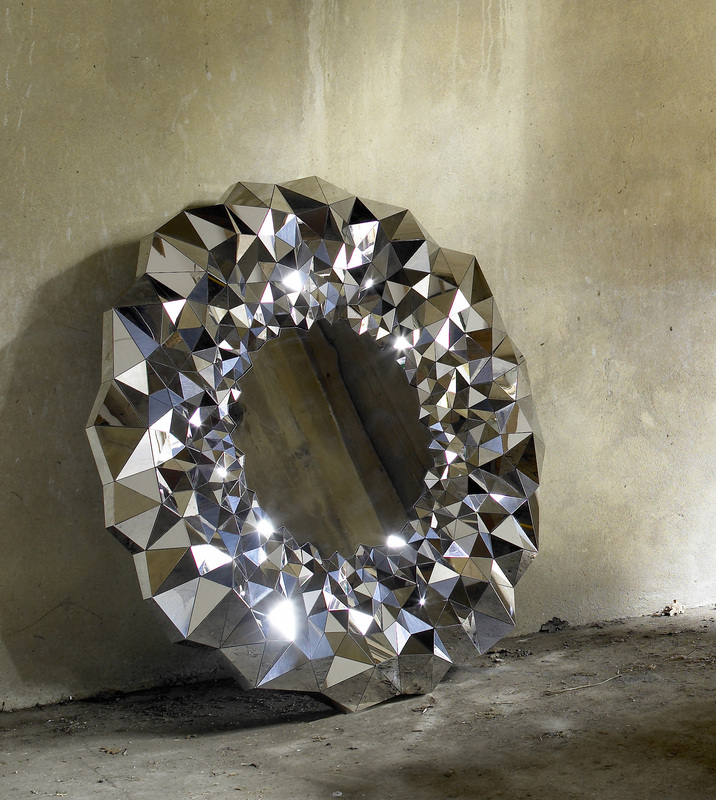 As the artist works on a commission basis, a custom version of the Stellar Mirror may be ordered.